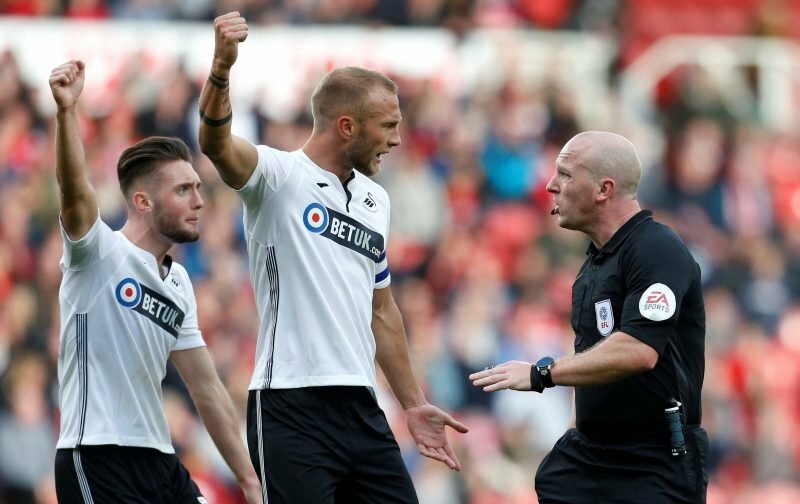 Mike van der Hoorn led by example at Middlesbrough on Saturday – playing a key role in Swansea City’s goalless draw at the Riverside Stadium and a fourth clean sheet of the season. Graham Potter’s side were the first this season to get a point away against Tony Pulis’ team who are now joint top of the Championship table following Leeds United’s first loss of the season against Birmingham City. 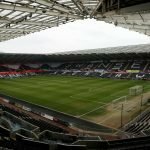 And it’s only Middlesbrough who have a better defensive record than the Swans, conceding only 3 goals – all of them away from home – with the Swans conceding 6. Middlesbrough too are the only side to have kept more clean sheets (7) with Leeds and Blackburn also keeping 4 clean sheets this season. And it would have been five had Joe Allen’s winner at Stoke been rightfully ruled out for a clear offside. Mike van der Hoorn has been one of our most consistent performers this season as well as last – playing a key role in the heart of defence. He’s developing a very solid and reliable partnership with the young Joe Rodon and both were excellent again last weekend and fully deserved another clean sheet. 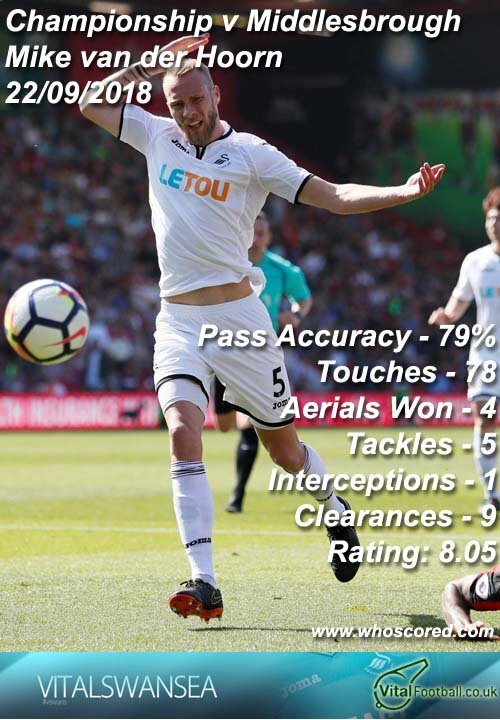 You can see his key numbers below and Rodon wasn’t far behind with 7 clearances, 83% passing accuracy and 7 aerials won out of 9. Both van der Hoorn and Rodon have proved to be dominant in the air in 2018/19 and have also been crucial to our improved record of defending set pieces. With a strong solid base to work from, Potter now needs to find a way to get his side scoring more goals as they’ve now won just once in the last five games, scoring just 7 goals in 9 games this season.